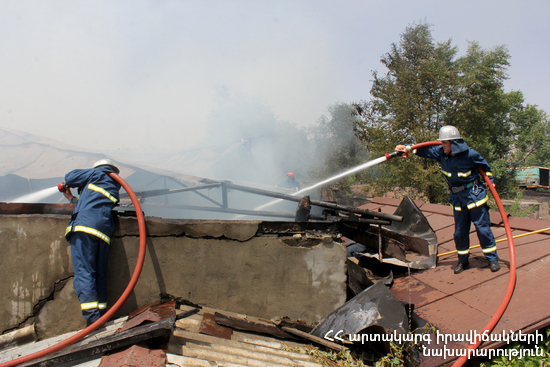 On April 15, at 16:37 information was received to "911" service that the roof of a barn was burning in Kosh village, Aragatsotn province. It turned out that the fire had broken out on the roof of a barn adjacent to one of the houses of the 15th street. The fire was isolated at 19:10 and extinguished at 19:45. The roof of the barn burnt (about 80 m2). There were no casualties.